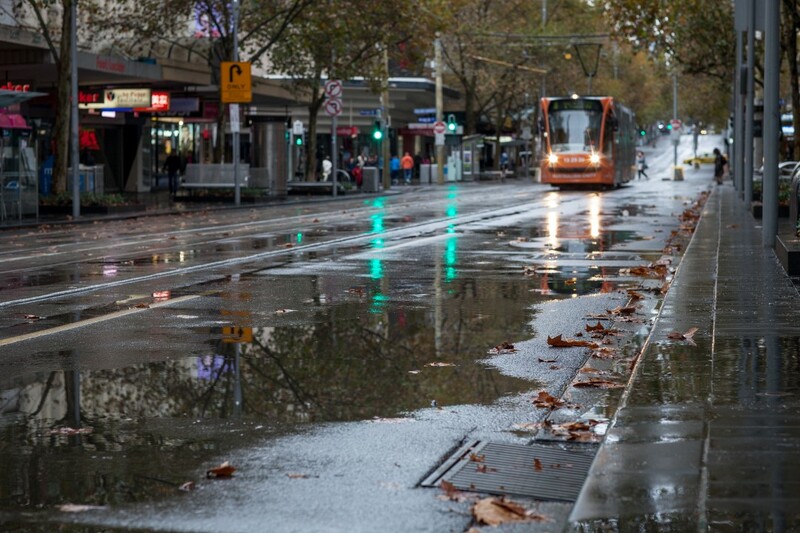 The City of Melbourne practices integrated water cycle management. This is the coordinated management of all components of the water cycle including water consumption, rainwater, stormwater, wastewater and groundwater, to secure a range of benefits for the wider catchment. Undertaking this integrated management in a city or urban water catchment presents very different challenges than managing catchments in more natural, less built environments. Unsealed or permeable soil surfaces in a natural landscape allow water to infiltrate into soil slowly and be used by vegetation. In built urban environments such as Melbourne, there are large areas of sealed soil such as under roads and buildings where water is unable to penetrate, and quickly runs off into drains. During this process, water collects all forms of urban pollutants, including sediments, oil, nutrients (including nitrogen), metals, plastics and other rubbish, and then carries them into our rivers. Urban soils also do not act the same as those in a natural ecosystem. Due to being sealed or covered over, urban soils can be compacted and lacking in nutrients and soil organisms. This prohibits soils from being able to capture and hold water, and also stops groundwater infiltration. Low soil water holding capacity and sealed surfaces can contribute to a loss of biodiversity and an increase in the urban heat island effect. This all accumulates to create a significant change in natural hydrological cycle. The aim of water management within an urban context is to restore the natural water cycle rhythm, slow water down and allow for groundwater infiltration and regeneration. The aim is also to allow evapotranspiration and subsequently, urban cooling to occur. Water Sensitive Urban Design is a key component of Integrated Water Cycle Management. Click on the next page to learn more. Integrated Water Cycle Management is also known as Whole of Water Cycle Management or Sustainable Water Management.